A senior leader at Teesside University has been recognised as a role model to women in business across the North. Professor Jane Turner OBE, pro vice-chancellor (enterprise and business engagement), was recently named as one of the most powerful and influential women in the North in the Northern Power Women Power List 2018. Northern Power Women is a collaborative campaign which aims to accelerate gender diversity from the North of England. It encourages the transformation of business culture to increase opportunities for women in business and showcase role models and best practice. The first Power List was launched in March 2016 when 50 figures were recognised and celebrated. Each year sees new names added to the list, shining a light on Northern changemakers who are making a difference and having continued impact. This year Professor Turner joins role models from a host of different organisations and backgrounds, including award-winning journalist and BBC presenter Stephanie McGovern and Baroness Sue Campbell CBE, Chair of the Youth Sports Trust. Professor Turner said: “I am delighted to have been selected for the Northern Power Women Power List and honoured to be standing alongside so many inspirational and influential leaders from the Northern region. Professor Turner has also been announced as the keynote speaker for the first ever Tees Businesswomen Awards to be held in November 2018. The awards will celebrate women in business on Teesside, inspiring a new generation to succeed in business, creating more female entrepreneurs and business leaders than ever before. 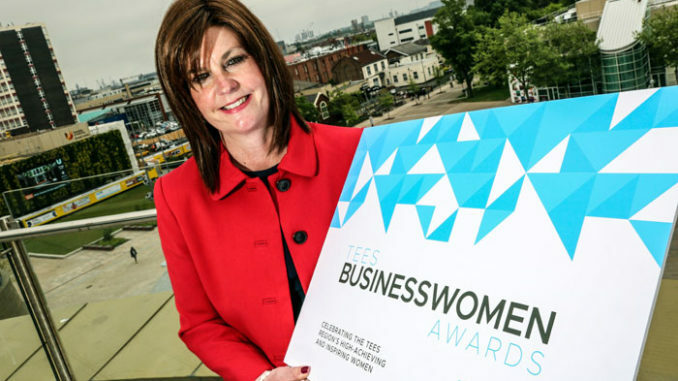 Teesside University is sponsoring the ‘Businesswoman of the Year’ award, reinforcing Professor Turner’s commitment to supporting women in business. Through this sponsorship, the university hopes to raise the profile of women and increase their voice and influence in the Tees Valley region.